Monocacy National Battlefield is only a couple of miles from Frederick, MD, where Cindy went to college. The battlefield today is comprised primarily of three farms that were the scene of most of the battle, Best, Thomas, Worthington, a mill, Gambrill and the river and railroad bridges. 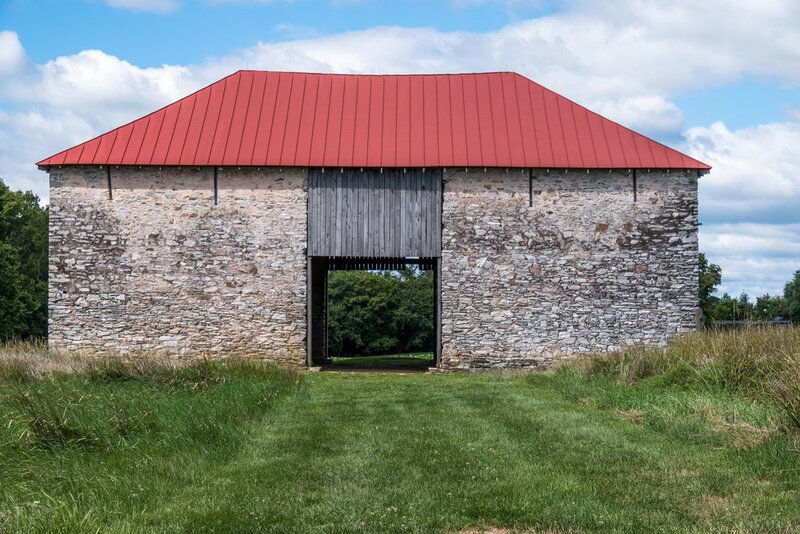 This photo is of the huge barn on the Best farm. It was built in 1790 and is about 3 or 4 stories high. The barn got fire during the battle but the walls and much of the structure survived. View of the house from inside the barn.